All righty. Spring has finally arrived. That means yard work and lots of it. I just came inside and I smell like eau de red mulch, tree prunings and dirt. But it’s a good smell. I’ve been out doing my stoop labourer work digging out dandelions and other noxious green things and tossing grass seed into the holes. I’m not sure how well this approach will work, since our neighbours do nothing with their lawn but mow it once the weed seeds have done their dirty deeds. But I won’t give up on this. Every morning before work, I jam my feet into my work boots and rush out to snap the yellow heads off the damned pestilential dandelions. I’m not making wine with them, either. Hub and I have been on the prowl for a new whipper-snipper. Since we’ve started taking better care of the lawn, the grass grows like mad in these cool nights/warm days and the garden beds and front yard were looking ratty around the edges. The thing is, it used to take me 3 sweaty hours toting around the electric weed trimmer. Five fifty-foot extension cords weigh a lot and the stupid things always came undone if you tugged too hard. 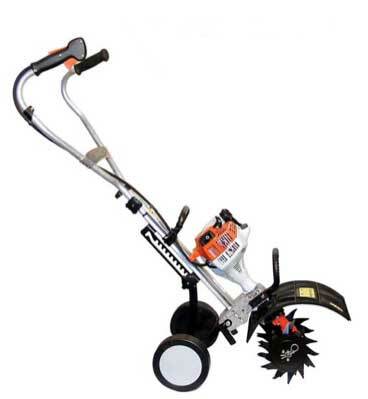 We found an acceptable model at Home Depot, but I kept asking, “Why does not one make a trimmer with wheels, so I don’t have to cripple myself carrying it around in the head?” Well, we saw what must be the Cadillac of trimmers in Canadian Tire – a Husqvarna HU 625 HWT walk behind string trimmer. Wow! It was a beauty, but heavy and over $500. I couldn’t bring myself to spend that kind of coin on a machine that did just one thing, no matter how well. But the hunt was on. Who knew there were so many models? Finally, we found The One in a brochure delivered with the weekly flyers. It’s a Stihl MM55 Multi System. Hub bopped down to Newmarket Mower. I went after work, tried it out, lifted it up, swapped out the tiller blades for the string trimmer head and…I loved it. 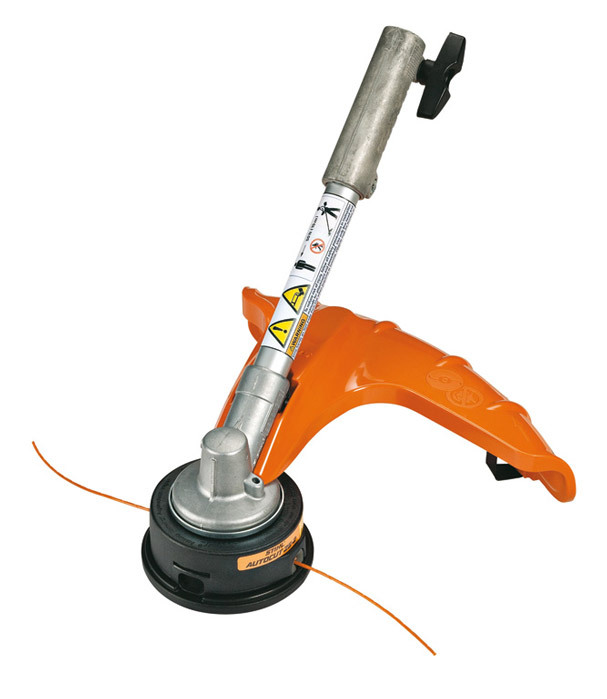 It was on sale for $399 which is four times the price of the whipper-snipper I was going to buy, but it does two things – it rototills, which will be great for the new vegetable garden bed I’m constructing AND it does the weed trimming. Today, I fired up the MM55 and trimmed the front, back and sides (like an old-fashioned barber) in half an hour. Thirty minutes. I’ve given up yearning for a yard boy to do the heavy lifting. I still (Stihl) have to learn how to get the front edges cut lower than the rest (the brush-cut look) and I’ll have to get used to the vibration in my right hand, but being able to advance the trimmer string by banging the head on the ground is an added bonus. I’m back in charge and so far, it’s worth every penny. Hooray for us!